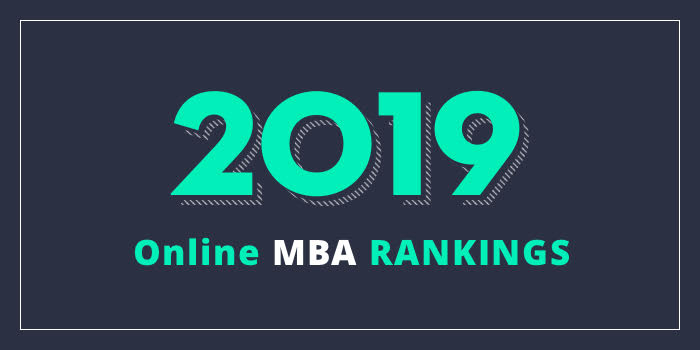 Our 2019 rankings of the Top Online MBA Programs in New Jersey. For an explanation of ranking criteria, click here. Rohrer College of Business at Rowan University offers an MBA Program that may be completed entirely online. This part-time, 36 credit hour program is offered in an accelerated format, with two courses scheduled per semester for six consecutive semesters, resulting in possible degree completion in less than 24 months. Each course is scheduled in 8-week modules with each week of work starting every Tuesday at 8:00 a.m. and ending every Monday at 11:59 p.m. The Rohrer Online MBA is offered in partnership with Global Learning & Partnerships. The curriculum for the program emphasizes “critical thinking, quantitative analysis and the technological and international facets of business.” Course highlights include Designing, Developing, and Leading High Performance Organizations; International Business and Society; Issues in Management Information Systems; Managing Organizational Strategy, and Professional, Legal and Managerial Responsibilities. This AACSB-accredited program also offers three in-demand elective options including Corporate Entrepreneurship and New Venture Development, Electronic Commerce, and Strategic Human Resource Management. There are six entry terms available and a business degree is not required for admission to the program. The Martin Tuchman School of Management at New Jersey Institute of Technology (NJIT) offers an online MBA with specializations in Finance, Management Information Systems, and Marketing. Composed of 16 courses (48 credits total), the NJIT Online MBA is delivered over eight 15-week semesters. Students typically enroll in two classes per semester. Course highlights for the program include Corporate Governance/Legal & Ethical Issues, Data Mining and Analysis, Entrepreneurial Strategy/Strategic Management, Forecasting Methods for Business Decisions, Information Systems Principles, and Management Consulting. Optional concentrations are available in Finance, Healthcare Management, Innovation and Entrepreneurship, Management Information Systems (MIS), and Marketing. Students with at least a 3.5 GPA can customize a concentration based on their specific goals. The custom option includes experiential learning and professional interest focused course selection. Other program highlights include AACSB-accreditation and an exceptional job placement rate. Within four months of graduation, 89% of NJIT MBA graduates are employed full-time.